Happy Thursday! We’ve almost made it to the weekend…woohoo! It’s been one of those rainy weeks where it puts you in a napping mood, so I’m hoping for some sun this weekend ☀️ It’s my sisters 31st birthday and we are celebrating by going to a MAGIC MIKE show….haha not sure what we’ve gotten ourselves into, but I’m super excited. I mean come on who doesn’t like seeing attractive guys take their shirts off…sorry Patrick LOL! Anyways, on to this adorable flowy maxi dress that I found at Old Navy. 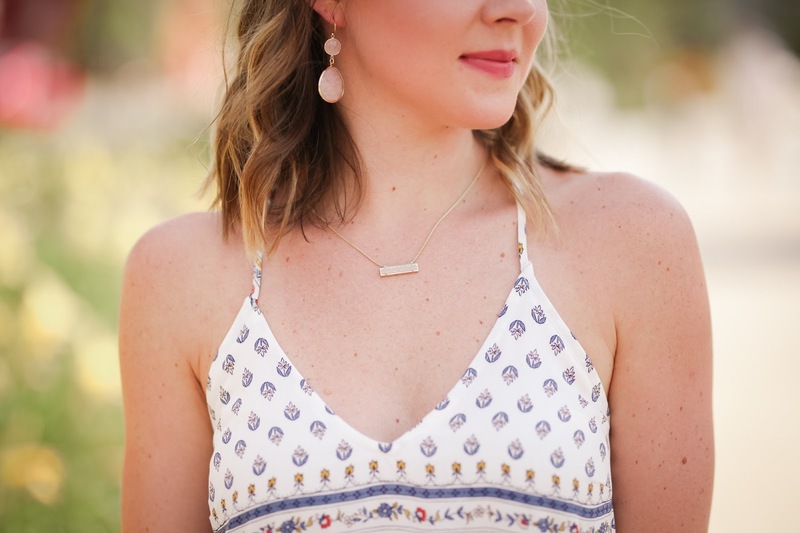 If you read my blog often you have probably noticed that all of my outfits lately have been from Old Navy – it seems like every time I go in there I end up buying way too much stuff! But you can’t beat their prices! And when I saw this maxi dress I had to have it! They are the perfect way to dress up, but be super comfortable at the same time. 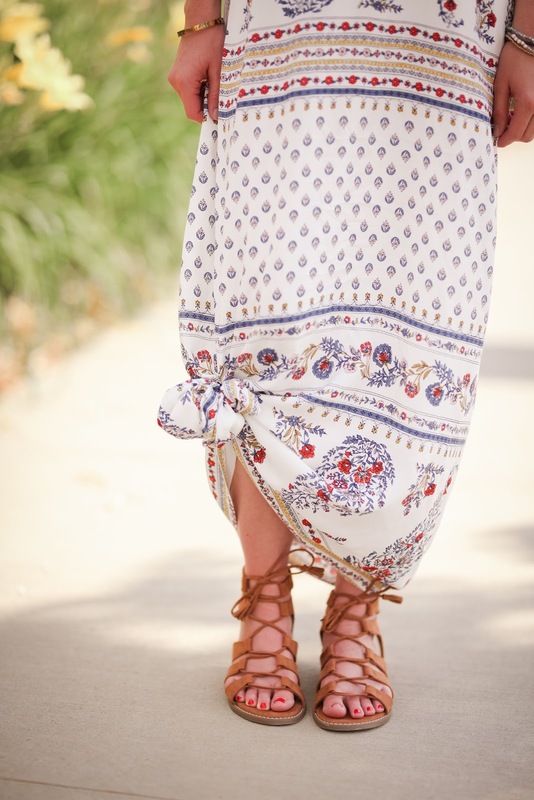 There are two ways to wear this maxi dress. You can either leave it long, or you can tie it up at the end like I did in some of the pictures. I think tying the bottom makes it a little more casual. 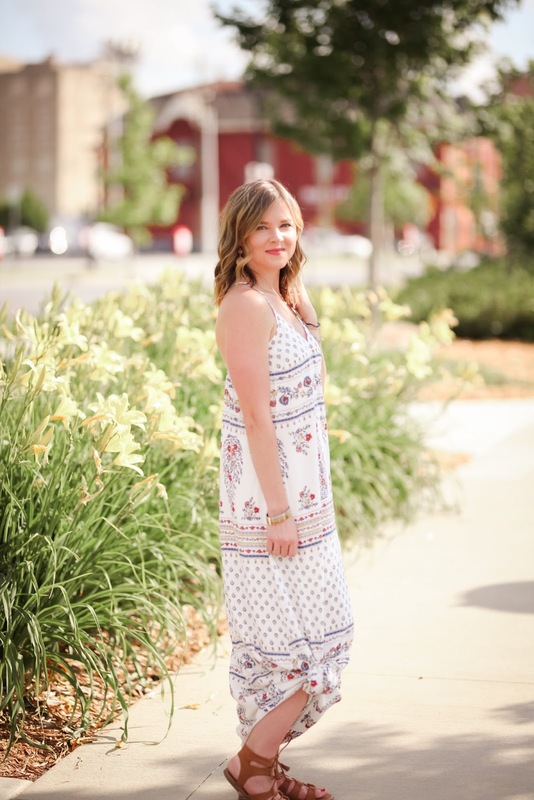 This could be the perfect dress to wear to any fun summer outing! The sandals I'm wearing are also from there! I have some exciting stuff coming up for Sweet & Savvy for that I am so ready to show you all! 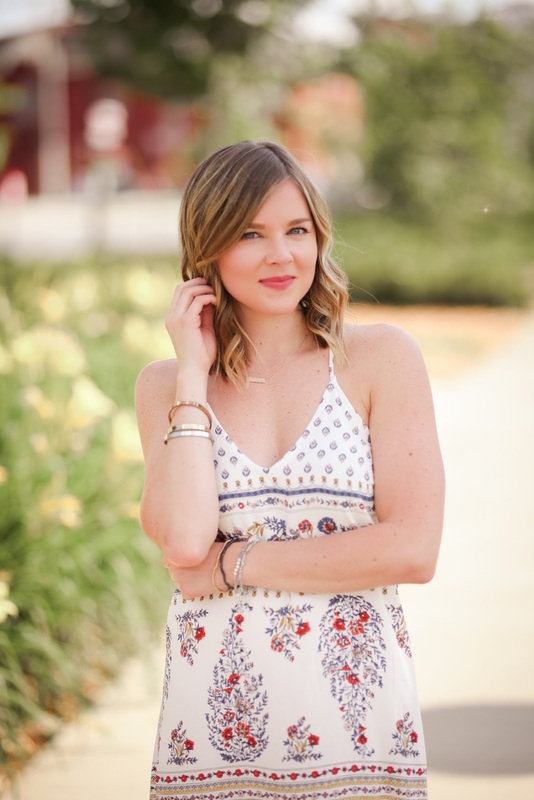 Everything from professional makeup to wedding inspiration, and of course more outfits! This is so pretty, love a maxi dress for summer!